Swiss Alps Mining & Energy Gives The ‘Next Generation’ Of Crypto Mining Efficiency. Nowadays, mining farms are being built seeking the best hardware conditions with an efficient hashrate, the lowest possible electrical consumption, and favorable environmental conditions to reduce energy consumption with ‘natural cooling’, combining eco-friendly solutions. Swiss Alps Energy AG (SAE) is Swiss Alps Mining & Energy operating business combining: unused buildings in the Swiss Alps, environmentally friendly mining and a sophisticated mining farm called ‘Modular Cube System’ (SAM Cubes) which evolved the ‘how-to’ of a mining farm’s development. SAE will rent out entire cubes or individual mining capacities, guaranteeing highly energy efficient and cost competitive mining. SAE will allow the possibility to rent mining facilities and the power needed can be paid in SAM tokens, offered on SAE Initial Coin Offer (ICO). Customers may also purchase cubes for their own use obtaining the necessary power from SAE and operating the cube on SAE’s premises, or deploy the cube elsewhere. Infrastructure: they take on disused structures that cannot be inhabited, which avoids the high costs in commercial property rentals. SAM Cube: mining is evolving in the creation of mining farms within adapted containers which facilitates the transport of mining farms to a new location. SAE developed its own mobile farm in prefabricated and fast-mountable SAM Cubes. The Cubes improve the transport and design of containers used for maritime transportation. They are self-contained and operate autonomously thus achieving a maximum efficient mining for maximum profit. SAM Cubes have two models available. SAM Unit 1: with dimensions of 4x2x2 meter, with ASICs miners and a global hashrate of 700 TH/s on Bitcoin (equivalent to 50 Antminer S9 model – 14 TH/s) or several RIGs’ miners and a global hashrate of 4,000 MH/s on Ethereum (equivalent to 80 GPU GTX 1080 ti model – 50 MH/s). SAM Unit 2: with dimensions of 8x2x2 meter, doubles the hashrate offered on the SAM Unit 1. Organic Rankine Cycle (ORC): is a system installed in the cubes which facilitates the process of energy recovery, taking advantage of the waste heat generated by the mining process in order to recover energy and decrease energy consumption by drastically. 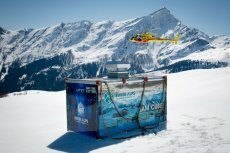 Natural Cooling: SAM Cubes are located at high altitudes in the Swiss Alps with a temperature of up to 30°C and an annual average temperature of below 15°C, achieving that additional air conditioning systems are not needed, avoiding cooling equipment expenses and electric consumption. 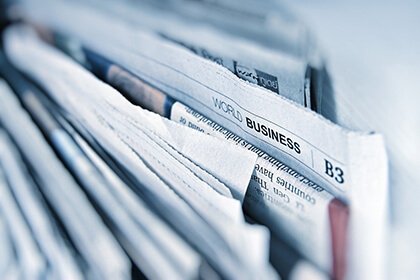 Horizontal and Vertical Growth: With the funds raised in the ICO, SAE will be used to finance the development and expansion of mining facilities and to acquire holdings in hydropower plants. With the acquisition of hydroelectric plants, the energy used will be self-produced, reducing energy costs. Responsible Mining: additionally, the mining activity will be eco-friendly since the Cube have dust-protected mining components, the energy comes from renewable sources and the heat emitted is used to create its own energy thanks to the Cubes’ ORC system. Interested to Be Part of SAE? SAE has a private sale available now and will hold an ICO starting June 15th 2018 with and funds raised will be used to finance the development and expansion of SAM Cubes and to acquire hydropower plants, making cryptocurrency mining more profitable for the token holders and SAE mining users.